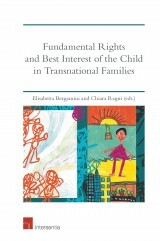 This book deals with the rights of persons, both children and adults, who feel a strong wish to find out who their biological parents are. The identification of biological parents may become important in a wide variety of situations, which run the gamut from adoption to sperm donor anonymity and ‘misattributed paternity’. 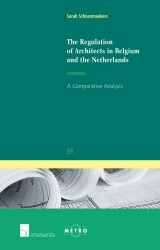 A thorough comparative study of the relevant law across a number of jurisdictions found on the European continent has now for the first time been made available in English. mei 2009 | xix + 462 blz. 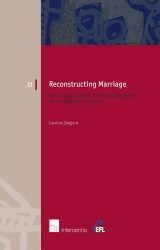 This book deals with the rights of persons, both children and adults, who feel a strong wish to find out who their biological parents are. Although most people know who their parents are, a minority does not. The identification of biological parents may become important in a wide variety of situations, which run the gamut from adoption to sperm donor anonymity and ‘misattributed paternity’. Individual searches across such situations may be motivated by a variety of legal, emotional and medical reasons or a combination of various motives. Thanks to both bio-medical developments and an increased emphasis on identity rights in international human rights treaties, a broad consensus that a fundamental ‘right to know one’s origins’ exists, can now be attested. Nonetheless, legal solutions, especially outside the adoption context, have so far largely remained piecemeal and attention has been drawn primarily to the informational needs of adopted children. As such, manifold legal questions remain as regards the appropriate age for disclosure of information to children, the use of compulsion in DNA testing, not to mention the right’s strength in relation to conflicting rights, including the parent’s privacy. 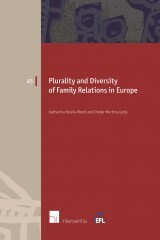 In exploring this wide range of legal issues, a thorough comparative study of the relevant law across a number of jurisdictions found on the European continent has now for the first time been made available in English. Foundational Facts, Relative Truths does not only provide an in-depth overview of the most recent legal developments in France, Germany, the Netherlands and Portugal, but also includes references to some interesting legal solutions found in other jurisdictions. 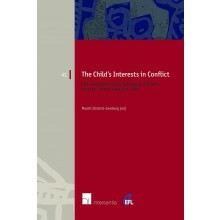 In addition, this study renders similarities and differences visible between the approach of the United Nations Children’s Rights Convention and the ever expanding case law of the European Court on Human Rights visible. In providing insight into the relevant interpretive tools that will hold interest to both legal scholars and legislative jurists alike, this book proposes a set of legal principles that guide the assessment of the current strength of the right to know one’s genetic origins. Moving beyond a comprehensive legal theory of the right to know one’s origins, this book aims to explore the concrete possibilities for a more effective regulation. 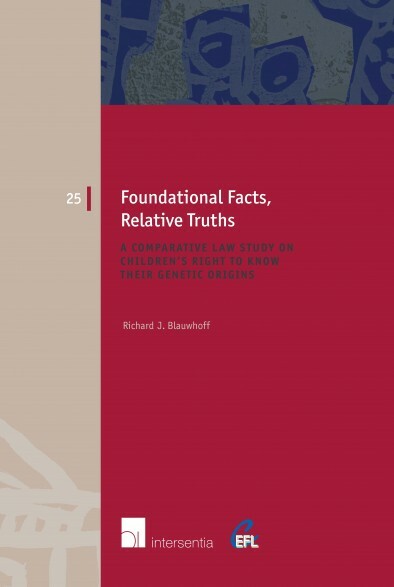 In this way Foundational Facts, Relative Truths casts a fresh light on the boundaries of state regulation while looking critically at the role parents have in making genetic information available and accessible to children. Though essentially a legal study, this book will accordingly also appeal to those who seek greater certainty concerning their own genetic descent. Bettina Heiderhoff in FamRZ (2010) 712. In Revue trimestrielle de droit familial (2010) 765.